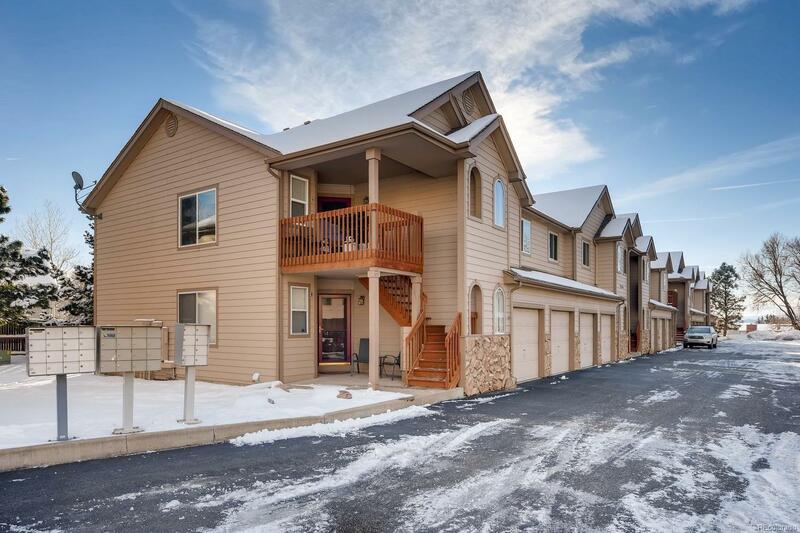 LOCATION*LOCATION*LOCATION ONE STOP SIGN TO FREEWAY ACCESS TO THE MOUNTAINS OR DOWNTOWN. MINUTES TO RED ROCKS AND BEAR CREEK LAKE PARK, HIKING TRAILS. THIS TOP FLOOR UNIT HAS IT ALL! GAS FIREPLACE, TWO BEDROOMS, TWO FULL BATHS PLUS A STUDY/DEN W MOUNTAIN VIEW. SECURE INDOOR STAIRWAY FROM GARAGE INTO UNIT. FRESH PAINT THROUGHOUT. MASTER SUITE INCLUDES WALK-IN CLOSET WITH ACCESS TO PRIVATE DECK FOR MORNING COFFEE.